EDINBURG — UTRGV has endured a front-loaded half of its WAC schedule. The conference record of UTRGV’s first six WAC opponents, including Saturday’s opponent New Mexico State, was a combined 22-14 entering Saturday. Two of the Vaqueros’ first three WAC losses came in tight home contests against first-place CSU Bakersfield by six points and second-place Grand Canyon by four. 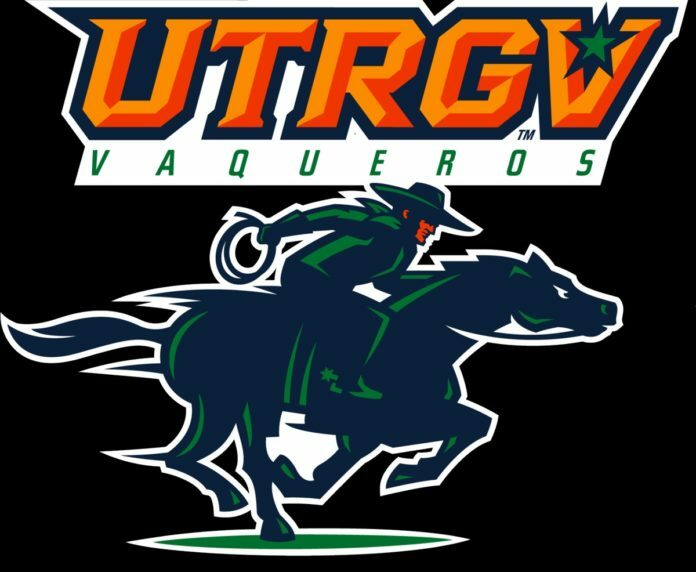 UTRGV welcomed NMSU, another conference heavyweight into the UTRGV Fieldhouse, and the Vaqueros lost yet another game in heartbreak fashion, 63-61. With the score tied at 61 and 13 seconds remaining in the game, New Mexico State fervently pushed the ball into the frontcourt. NMSU guard A.J. Harris, voted to the preseason All-WAC First Team, had his eyes forward and rifled a pass to big man Eli Chuha. Chuha, who was voted to the preseason All-WAC Second Team, corralled the pass and converted a layup with eight seconds left that gave the Aggies the victory. The New Mexico State (16-4, 5-1) Aggies are the defending WAC champions and are determined to stay there, but both teams got off to sluggish starts. UTRGV committed nine turnovers in the first 12:06, but New Mexico State was responsible for 12 turnovers of its own. Like the Aggies, the Vaqueros hadn’t played in a week. UTRGV (10-12, 2-4) was down six points with less than a minute to go when Javon Levi nailed his second of two 3-point attempts to cut the deficit to three. Levi scored 11 points to go along with seven assists (two turnovers), two steals and a blocked shot. Terry Winn III was the game’s top scorer with 18 points on an efficient 7-of-13 from the floor. Smith, who finished with 10, banked in a 3-pointer with 29 seconds to go to make it 60-59. After the Aggies went 1-of-2 at the free-throw line, Smith drove to the basket with a layup that tied the game at 61. “When we were down four, coach (Hill) called a rub action for me to take it out. Javon hit me and I just made a play,” Smith said.